It is crazy to think that this summer Next Step will have been in Oklahoma for SIX years. So much has taken place in this community in each of those years! Relationships have been built. Homes have been repaired. Communities have been given hope and lives have been changed in the name of Jesus. 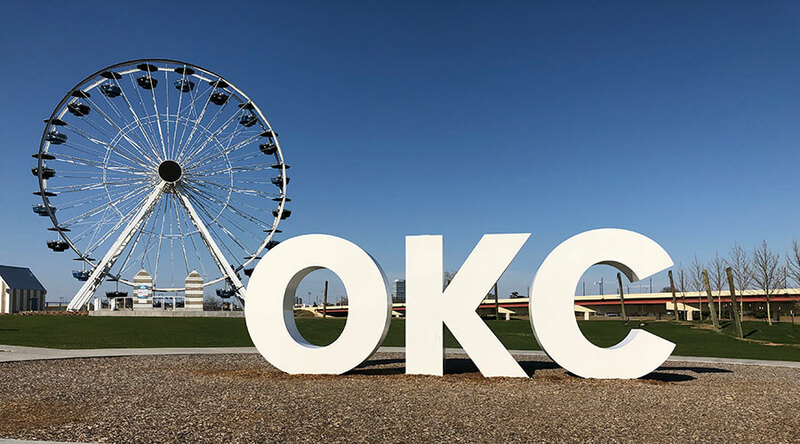 As we look back at all the investment that has gone into the Oklahoma City communities, we can’t help but marvel at all the ways the Lord has impacted this city. What started out as a disaster relief mission trip, has developed into incredible partnerships with organizations working in the downtown inner city neighborhoods. Connections have been made across the city with individuals passionate about bringing Jesus to the streets of Oklahoma City. Through our partnerships with organizations like Cross and Crown and Restore OKC, we have encountered projects that will not only have long-term impacts on families, but we’ve also witnessed first hand the commitment these groups have to the people walking the streets each and every day. Whether it be after school programs, clinical services, or food drives, these partnerships are working hard to ensure that their neighborhoods are taken care of and Jesus is proclaimed. Our partner Project 58 is working to transform neighborhoods from the inside out by living next door to those searching for what Christ can only satisfy. They have a love and devotion to all that Christ calls the church to be, and put those commandments into action in a radical and powerful way in this city. Over the last five years, they have taken neighborhoods that were once deemed unsafe by city officials and transformed them in to incredible communities where neighbor loves and looks after neighbor. In the last six years, there is much to be celebrated and even more to be thankful for! So much of what has been accomplished would not have been possible without hard working students and their leaders. We are incredibly thankful for the investment that you have made to our community and pray that the Lord would bless you as you continue to serve in your home communities. As we shift our focus to this upcoming summer, we ask that you would join us in prayer for the Oklahoma City communities. This month we are praying over the summer staff that will be coming to serve the students and leaders this summer on their mission trip. We pray that the Lord would use them as they lead worksites, worship nights, and invest in the neighborhoods we work in. Join us in praying a special blessing over our community partnerships. We pray that God would encourage and enable the community leaders to continue to impact their neighborhoods and that lives would be changed for Christ through their investments. Finally, we ask that you would join us in praying for groups just like yours that are coming to serve in our community. We pray that as they serve, the Lord would lean into them and that they would encounter Him in a powerful way this summer. The summer is just around the corner and we are excited for all that is in store for this amazing community!